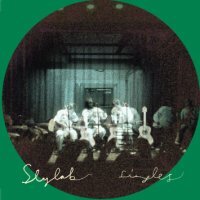 Slylab - Singles - BFW Recordings netlabel - Music is free! ambient, shoegaze, indie, experimental, electronica - independent netlabel sharing music with you for free! Slylab, once a solo project is now a fully-fledged band. Hailing from Indonesia, they bring a bright mixture of ambient shoegaze and pop electronica to their first full release on BFW recordings. Ambient shoegaze electronic pop from Indonesia.